RESEARCH SHOWS CANNABIS RESTORES MEMORY AND COULD REVERSE THE AGING PROCESS | "Global Possibilities"
Researchers from the University of Bonn, together with colleagues at The Hebrew University of Jerusalem, have discovered that cannabis has age reversing effects in the brains of mice. This work could potentially help us develop new treatments for dementia. One of aging’s most obvious signs is a decrease in cognitive function and learning ability. Usually, these issues express themselves in the form of memory deficiency. While this decrease in memory retention and recall is considered normal, it is often associated with more serious disorders, such as Alzheimer’s or dementia. Now, a team of scientists from the University of Bonn and their colleagues from The Hebrew University of Jerusalem discovered a potential treatment to reverse aging in the brain. In their research, which was published in the journal Nature Medicine, the team showed how that a cannabis-based treatment successfully reversed the biological state of the brains of mice 12 months and 18 months old. This is notable, as mice age remarkably fast and serve as a viable animal model when research potential treatments in humans. “The treatment completely reversed the loss of performance in the old animals.” The team used two-month-old mice as a control group. 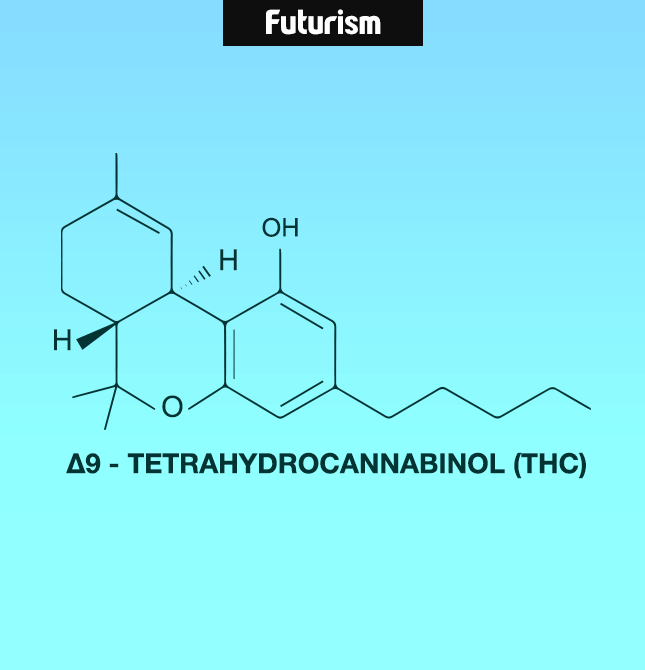 The older mice were given an active ingredient in hemp called tetrahydrocannabinol (THC) for a period of four weeks in non-intoxicating doses. Their tests revealed that mice who received THC displayed cognitive abilities as good as the control group mice. Meanwhile, those older mice who received a placebo displayed the usual learning capacity and memory performance appropriate to older mice. The findings that stem from this are simply remarkable. “The treatment completely reversed the loss of performance in the old animals,” said researcher Andreas Zimmer, from the University of Bonn’s Institute of Molecular Psychiatry [emphasis added]. Furthermore, the researchers realized that cannabis reverses aging by making the brain cells in the mice younger. To this end, they saw that links between nerve cells increased and their molecular signature resembled those of young animals. “It looked as though the THC treatment turned back the molecular clock,” Zimmer added. The treatment, once tested and proven to be effective in humans, could help improve the conditions of people suffering from dementia. This disease, which affects more than 47 million people worldwide, often leads to cognitive disabilities — memory loss and behavioral disorders — that hinder a patient from performing day-to-day tasks. Svenja Schulze, science minister of North Rhine-Westphalia,outlines exactly how helpful this study could be for future treatment in the elderly. “The promotion of knowledge-led research is indispensable, as it is the breeding ground for all matters relating to application,” he stated in the press release. “Although there is a long path from mice to humans, I feel extremely positive about the prospect that THC could be used to treat dementia, for instance.” To that end, Zimmer and his team are now preparing for human clinical trials. The study adds to the number of potential benefits cannabis seems to have, particularly in treating neurological disorders. That said, as has been previously noted, much of this is still early work, and more peer review research is needed on the medical effects and uses of cannabis-based treatments before they can be deployed. Moreover, these studies use carefully controlled conditions, and as a result, similar benefits are not seen in individuals who use the drug recreationally. NIH should be doing this study.